Need a boat lift company you can trust? Count on Davit Master! 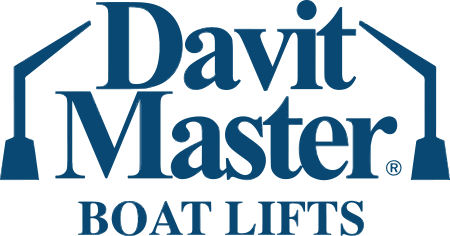 Since 1976, Davit Master has been the boat lift company of choice for boat owners and marine contractors across the U.S. and beyond. Your safety and satisfaction are our top priorities. We've built our reputation one boat lift at a time by maintaining meticulous standards that extend to the top-grade materials we use, the manufacturing processes we follow, the quality control we enforce and the skilled people we're proud to call family. We're also proud to say every single Davit Master boat lift is made in America. When it comes to boat lift companies there's no comparison. Innovation and integrity can't be manufactured. They're the end result of exhaustive research, thorough testing, off-the-chart creativity and unwavering commitment - all part of a typical day's work at Davit Master. Every Davit Master boat lift is designed and built to achieve the perfect balance between form and functionality. Each one is a real workhorse, but looks more like a work of art, installs quickly and; best of all; lets you spend your time fishing, skiing or cruising instead of dealing with tedious maintenance. Contractors can't get enough of our tried and true technology that eliminates costly mistakes and unnecessary hassles. Why not count on the boat lift company that makes installation smooth sailing and makes you a hero in the eyes of your customers? You'll instantly see and feel the difference. Davit Master is family owned and operated. Our experienced and knowledgeable staff is here to show you the ropes and make sure you get more enjoyment out of your boat than you ever imagined. Have special needs? No problem. In fact, our creativity kicks in full-throttle on custom designs. Our boat lifts are here to stay, and so are we. Isn't it time you joined the Davit Master family? Call the boat lift company boat owners and marine contractors prefer at 1-800-878-5560.